There’s been a lot of buzz in the last week about the new Instagram Stories feature. So, what’s the verdict? 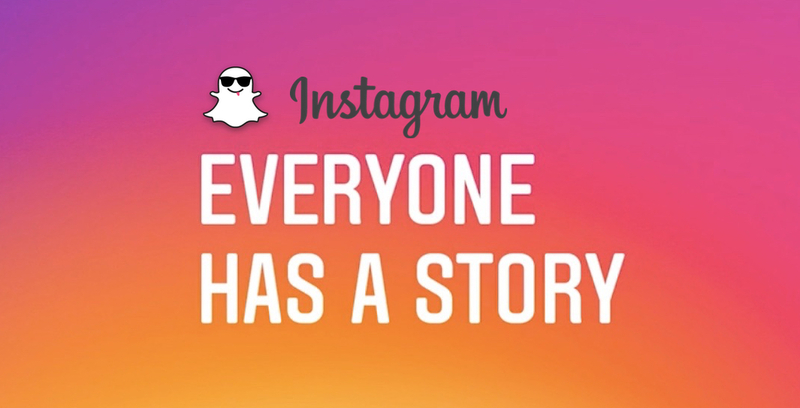 Is Instagram stealing SnapChat’s story culture thunder? And will they be successful? Facebook tried copying this before, now they’re doing it again with Instagram. Some of the older millennials who use Instagram but not SnapChat may use it, but I think anyone who is already using SnapChat will stick with it as the behavior has already been set along with all the effort of building followers and great accounts to follow. Implications for brands? Negligible. Platforms need to know what they do well and own it. Instagram has gone through many evolutions since the acquisition – video, sponsored content and the “videos you may like” curated feed, but essentially it remains a space we build our personal [filter fantasy] culture online. SnapChat has made us question if content needs to live forever and has undoubtedly had a major impact on Instagram’s usage numbers. Time will obviously tell how effective Instagram Stories is at meeting their audience’s evolving digital attitudes, but Instagram should really be asking themselves why they need a seat at the table of temporary, raw and [largely] unfiltered messaging, when they’ve built an empire on the filter fantasy reality. On the plus side, IG Stories allows you to see anyone who’s looked at your story–followers or non-followers. Bad news for crazy ex-cyber stalkers! Instagram has been losing ground in the attention game to Snapchat, so they had to try something sooner than later. On one hand, their implementation of “stories” is more refined and usable than Snapchat (but so was Facebook’s “Poke” app a few years ago). Furthermore, their ability to draft off people’s existing extensive Instagram friends lists means their usage will, at least at first, go from 0 to 60 in no time. On the other hand, it feels uncomfortably forced in the Instagram app– with a whole separate create and browse experience, each of which feels like it’s supporting separate habits and mindsets. Comparatively, the way Snapchat has slowly added features and integrated new capabilities into one cohesive experience has been a work of art, each new element improving what came before it. And, in general, the role of ephemeral feels a lot more closely tied to the mentality and use cases of messaging, than of a curated gallery product like Instagram. So I’d expect the use of Instagram Stories to die down significantly after the initial hype, like every shiny object before it, and for Snapchat to continue its phenomenal growth. Ultimately each platform will have their audiences, and brands will have to decide which communities they want to invest in engaging, and where they can provide value.